After about three years on the radio, Jimmy became the weekend sports anchor on WBZ-TV in Boston. After leaving the top-rated television station, Myers became one of the early stars of ESPN, working along-side Chris Berman. Myers then moved to WWOR-TV in New York where he earned the Sportscaster of the Year Award. Myers then returned to Boston where he became a triple media star. 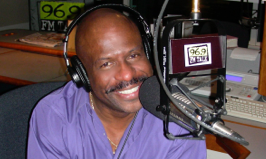 He was one of the original hosts for the all-sports radio WEEI AM, he was host for the FOX-25’s TV coverage of Boston Celtics basketball, and he partnered up with producer Tony Bennis to host their creation, “Sports Exchange with Jimmy Myers,” a national entertainment-sports program. During that period of time Myers also filled-in as a columnist in the Boston Herald. And, when the New England Emmy Award nominations were announced that year (1992), Jimmy earned four nominations, the most of anybody in television - and winning two Emmy’s, including for a one-hour special on Boston Celtic Larry Bird. Born in Philadelphia, Jimmy Myers is the third oldest of ten siblings. Myers attended Boston University where he graduated with honors. His first post-collegiate job was as the weekend sports producer for the legendary Calling All Sports program on WBZ Radio 1030 AM. When the host of Calling All Sports failed to make it to the station one night, Jimmy seized the mic and hosted his first sports program. 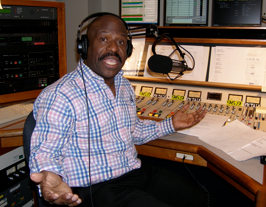 Myers’ on-air performance that night instantly launched his broadcasting career as the station’s program director quickly made Jimmy one of the regular sports radio hosts. 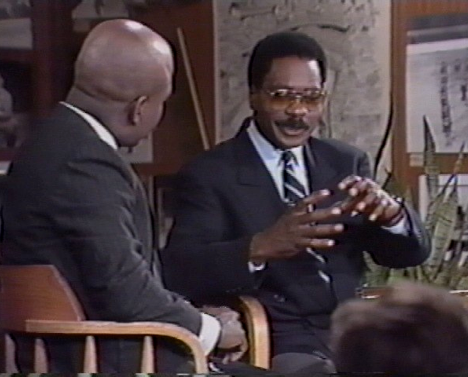 One of the major highlights of “Sports Exchange” was a one-hour special with Rubin “Hurricane” Carter. It was the first time the legendary boxer had appeared on an American television program since he was exonerated and released from prison in 1986 after being falsely imprisoned for 19 years. According to Boston Globe reporter, Michael Blowen, when Denzel Washington saw the tape of the program he decided that he wanted to portray Mr. Carter and that’s what led to the movie, “Hurricane,” being produced. “Sports Exchange” also helped launched the national career of director Rich Brian DiPirro, who has gone on to become one of the top television directors in Hollywood. In 2006 Jimmy branched into news anchoring in addition to sports. 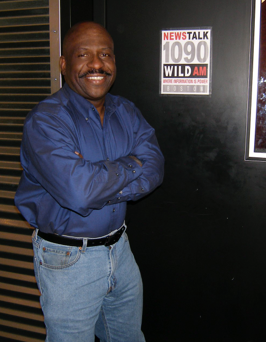 Myers was tapped to host the morning drive show on the new News Talk WILD AM 1090 in Boston. The station had changed it’s format from urban music to gospel and then to news talk within a one-year time period thus losing it’s entire audience. 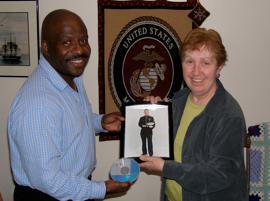 Within 6 months, Myers’ morning drive program generated a following and exceeded the corporate goals for ratings set by Radio One. But Radio One, in need of quick cash, sold WILD FM and then canceled all original programming on the AM station. 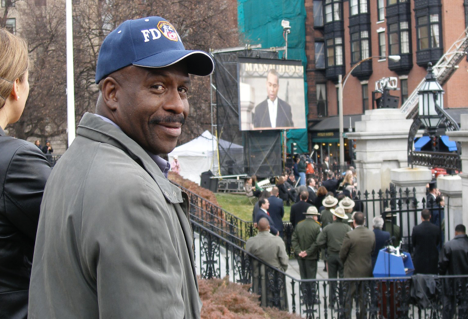 Myers was immediately recruited by Boston’s WTKK 96.9 - the area’s first FM news talk station.